I first saw a basket like this in a restaurant in Hawaii. I now have a couple of varied sizes for my jewelry, dinner rolls and of course one for napkins. I made a personalized basket for my granddaughter using my hoop embroidery machine to create the base. 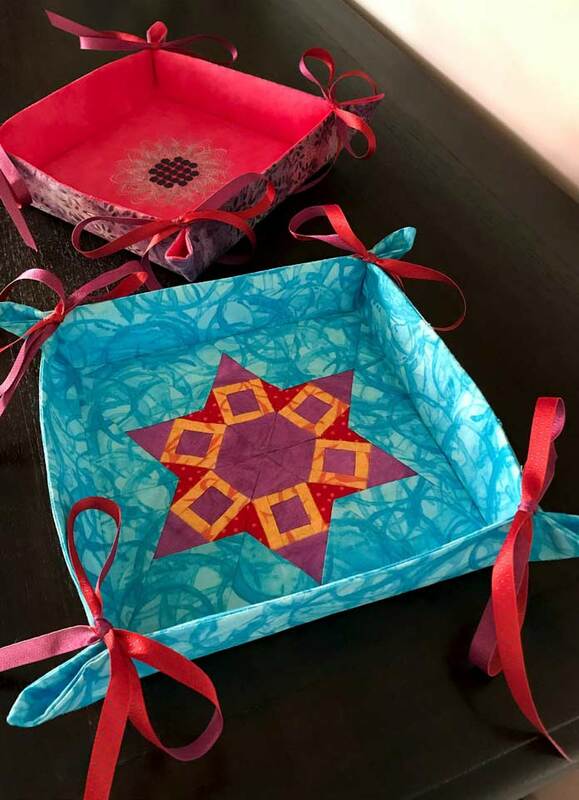 Combining foundation paper piecing and new products makes it easy to create lots of different sized baskets.